Brad Matheson ran boating rallies to Cuba from Key West. Now he and his wife are facing prison time for fraud. Standing in a California court last week, Brad and Margie Matheson pleaded guilty to charges that they stole more than $100,000 from dozens of high school band students who thought they were buying a trip to Japan. They face two to three years in prison. The name of the Matheson company that cheated these kids was Harmony International. According to Harmony’s bankruptcy filing, more than $1 million was owed to more than 170 creditors, most of them teens or their parents from Texas, New York and other states. The Mathesons were only charged criminally in California—so far. The company’s bookkeeper testified before a grand jury that the missing money paid Matheson’s personal living expenses or was diverted to another Matheson corporation, Harmony Yacht Vacations. The “Cuban thaw” that began in December 2014 under the Obama administration had a Gold Rush effect. American businesses added Cuba components, most notably the cruise ship companies. The publisher of PassageMaker initiated a sportfishing tournament in Cuba and a Cuba boating rally program, which I operated. Like the California Gold Rush, the relaxation of the travel ban also attracted a host of shady operators and corner-cutting adventurers. 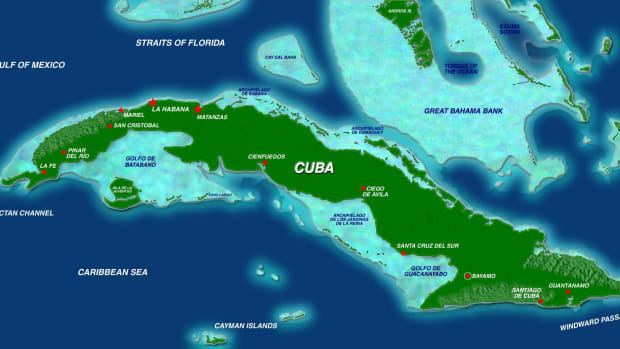 In the latter category, I would put a rally to Cuba undertaken by a particular motoryacht owners group. Led by a particularly arrogant individual, this group barely genuflected to U.S. regulations regarding legal travel to Cuba by U.S. citizens. The most popular exception to the U.S. Travel Ban is a “People to People” general license, a form of educational travel that stresses interaction with ordinary Cuban citizens. Americans arriving by boat, have to file a single form with the Coast Guard and that’s it. 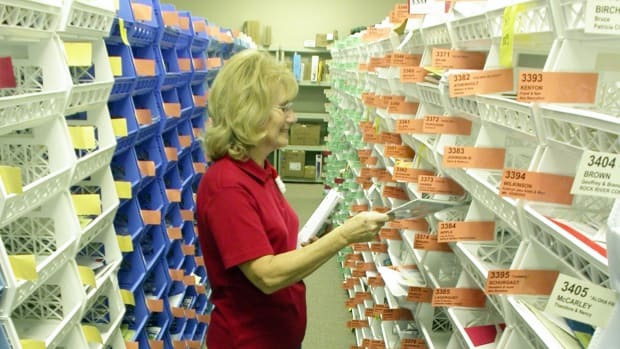 Compliance, even though it is unmonitored, is onerous. To be legal, American travelers must maintain a “full schedule” of approved activities while in Cuba and maintain documentary proof of that schedule for five years. The division of the Treasury Department that enforces the regs is called OFAC, and OFAC lawyers told me that a full schedule means eight hours a day, though that might include lunch. Boaters, as opposed to travelers in hotels, might be able to make a case for a shorter day of approved activities, but if challenged to justify that schedule, they would be on the defensive from the get-go. Our April 2016 rally was a success for the participants, and we made some money, but not a lot. Mornings were spent learning Spanish for Cruisers at the Hemingway International Yacht Club. 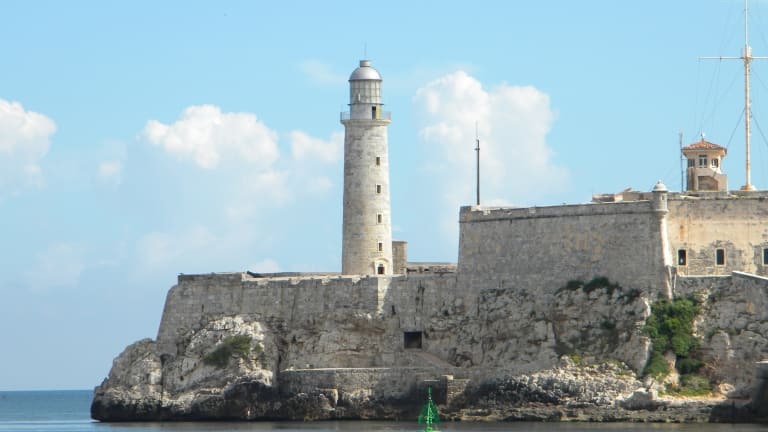 In the afternoons we toured historical and cultural sites around Havana. On the weekend, we took a field trip to Cuba’s tobacco growing region. 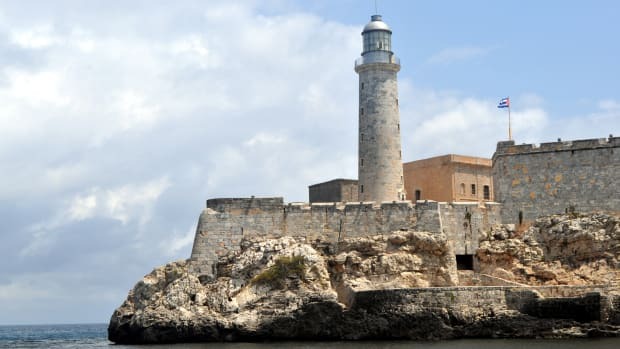 Funding for the buses, guides, lunches, admission fees—all of it had to be paid in cash because banking relations between the U.S. and Cuba were non-existent. 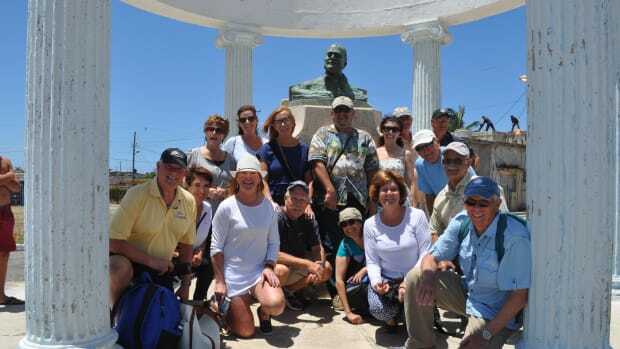 We promised our participants adventure and compliance with U.S. and Cuban laws. And I got a precise lesson in what compliance costs in dollars. Meanwhile other boating organizations began to advertise rallies of their own, relying on Harmony Yacht Vacations to ensure compliance. 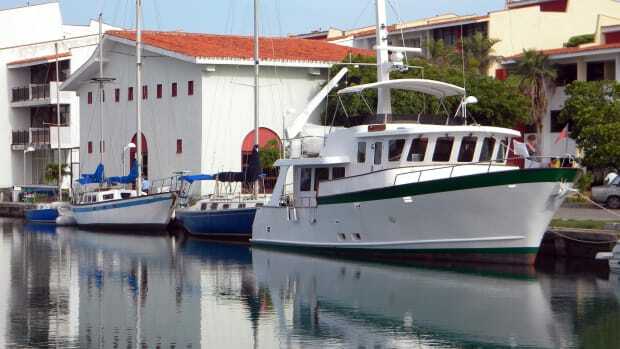 Harmony Yacht Vacations operated a small fleet of charter sailboats from a base at Key West and thus claimed expertise in travel to Cuba by boat. I called Matheson, who assured me that thanks to “proprietary things,” his program was “100 percent legal” and had been vetted by a lawyer. “We literally know the OFAC people by name,” he said. This is where I pointed out the part of the regulations shown below. My read since March (2016) is that if you&apos;re doing people-to-people under the auspices of the organization you can&apos;t have people just doing their own thing (and therefore, if people are just doing their own thing, the organization should not profess that it is making the thing "legal"). I think that if a rally were to charge participants strictly for U.S.-based things (parties, inspections, advice, etc.) and basically set them loose in Cuba (with the understanding that the rally was not providing legal cover), that would be okay. But if you&apos;re selling a Cuba Rally and you&apos;re telling folks that your organization is covering the legal aspect, I don&apos;t see any way that they can qualify by the participants doing their own thing. Unless they just want to ignore the rules, which is fine, but in that case why bother joining with a rally in the first place when you can ignore the rules just as easily (nay, easier) as an individual. I assume that you were unaware of this new language from March. 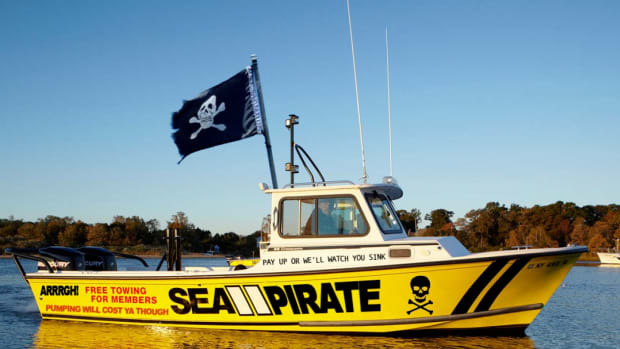 And I agree that this is a ridiculous rule​, but it&apos;s one that the AIM Marine Group follows so that we can honestly promote our program as legal. It seems pretty clear that (your organizations) would be in violation if your customers were to participate in self-directed activities. I&apos;m not sure, but there may well legal implications for the participants themselves. In reply…crickets, but I did hear back from Matheson, who threatened me. It has come to my attention, now for the 2nd time, that you have trolled our website and contacted our partners and apparently proclaimed yourself the grand maître of US/CUBAN legal process and abruptly warned the principles of these organizations of doing business with us because we were not doing legal process correctly. I need you to look up the term Tortious Interference, in my opinion you have crossed over the threshold of reasonable doubt and we have every right to issue a lawsuit for damages accordingly. I am a very reasonable person and believe VERY strongly about playing fair in the sandbox with others. From my recollection, I have never...nor would I, say harsh words of you as I really don’t know you. The only reason I can even understand is the amazing success that Harmony has had in the marketplace with Cuba, how we have modeled and priced has undercut your own trips, as you have said once before. As of today, this will stop. I have copied our attorney, whom you know, on this email. If I hear of any further damage that you have done, and I will be asking key people at the Miami show, that jeopardizes our business or person, it will be dealt with swiftly. Let me say two things. If you participated in one of these rallies and had a great time, please realize that I have no doubt that someone could have had a blast visiting one of the most interesting cities in the world. My only point is that you may or may not have been in compliance with U.S. regs. Secondly, you probably don&apos;t have to worry. OFAC probably won’t come after you because their enforcement staff is very small. Making a case against an individual in a sailboat takes almost as much effort as going after some million-dollar corporate offender, so you can guess where your place is in the enforcement priorities list. In May 2017 a San Diego television station began reporting a story on Harmony International after local parents and students said they had paid more than $3,600 per person for a trip to Japan, scheduled for July, that would never happen. An attorney representing the Mathesons announced the trip was cancelled and refunds were unlikely. In a video conference during his sales pitch, Matheson had assured students their money would be insured, but it never was. Harmony International declared bankruptcy. Band and choir groups from across the country came forward to say that they too had been cheated. In November, Matheson traveled to the Exumas where he planned to set up a second charter base, according to a Harmony Yacht Vacations investor. When Matheson and the investor returned to the U.S. and cleared through Customs and Immigration, Matheson was taken aside and arrested. His wife was arrested too, and both were extradited to California to face 90 felonies, which included theft and failing to register as a seller of travel in the state of California. Having pleaded guilty to three felonies, the Mathesons will be sentenced in February. Over the weekend I interviewed two Maryland investors in Matheson’s charter business who lost a combined total of more than $100,000. 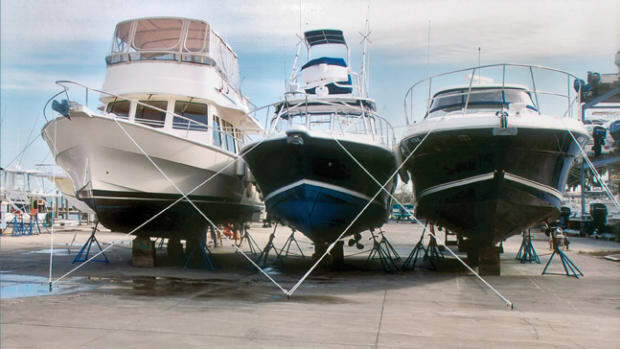 With the Mathesons incarcerated and awaiting trial, Harmony Yacht Vacations imploded for lack of management, and its fleet of owner-boats dispersed. 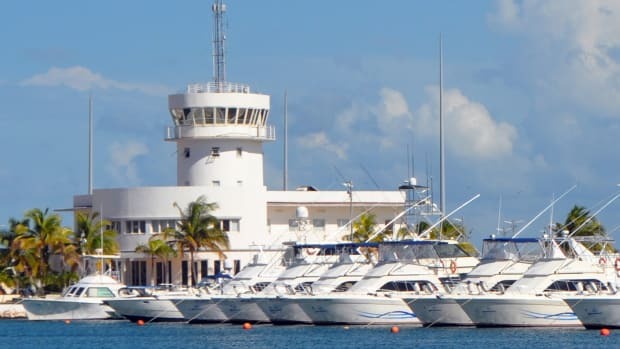 The investors, one of whom referred to the Mathesons as “stupid idiots,” said that by the time of the arrests, he and the other investor had already decided to convert their investments to debt and separate themselves from Harmony Yacht Vacations. They said they had had enough of the Mathesons’ dubious business practices as the pair lived aboard a half-million-dollar 55-foot sailboat. Why had they put their trust in Brad Matheson? It was a decision steeped in romantic notions of being players in the marine industry with Key West as H.Q. One investor said that the other, his friend, had caught the “Buffet bug,” a reference to tropical troubador Jimmy Buffet. Buffet could have warned them: They may be harder to spot nowadays, but there are still some pirates roaming the Caribbean.